2. Combine all-purpose flour, baking soda and salt in a bowl. Set aside. 3. In a separate bowl, combine butter, 1 cup brown sugar and 1/2 cup white sugar. Mix well. Add eggs and vanilla. 4. Add the flour mixture into the second bowl and mix well. Add the chocolate chips. 5. Chill the dough until firm (45 minutes to 1 hour). 6. 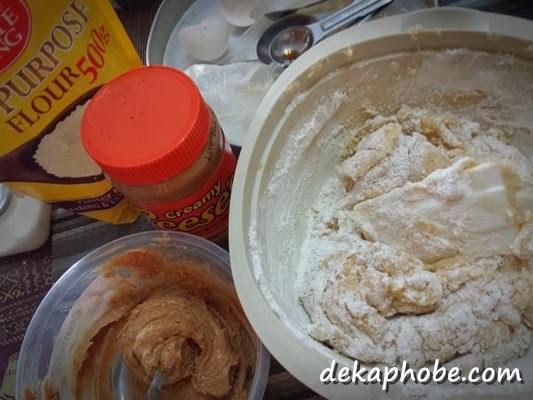 In a separate bowl, mix 1/4 cup brown sugar and 1/2 cup Reese's Peanut Butter Spread. 7. Roll half-tablespoon of cookie dough into a ball. Slightly flatten the dough and make a "dimple" in the center. Put 1 teaspoon of the peanut butter mixture in the center. 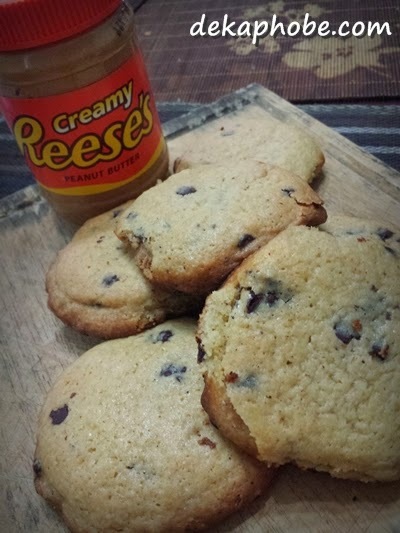 Roll another half-tablespoon of cookie dough, flatten slightly, then place on top of the peanut butter-filled dough. 8. Bake for 15 to 18 minutes. This recipe can produce up to 2 dozen of regular-sized cookies or 1 dozen huge cookies.